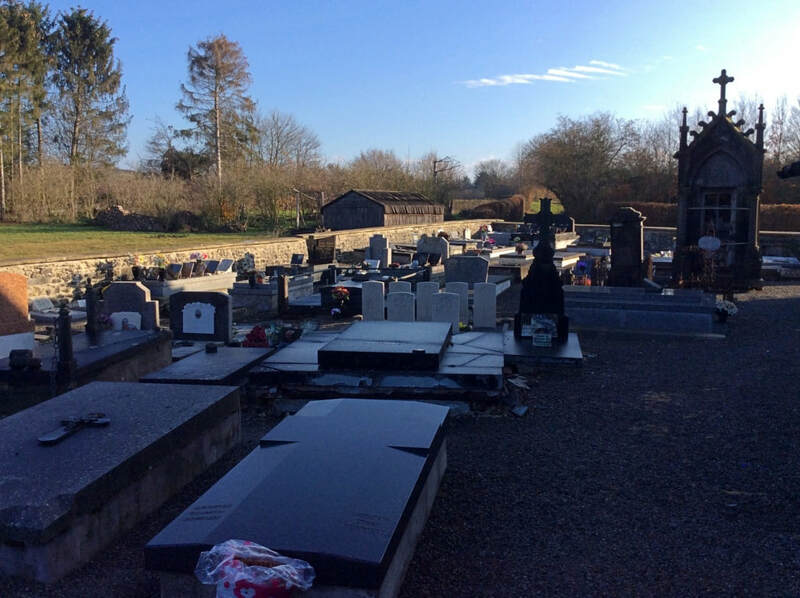 Hestrud is a small village some 20 kilometres south-east of Maubeuge. 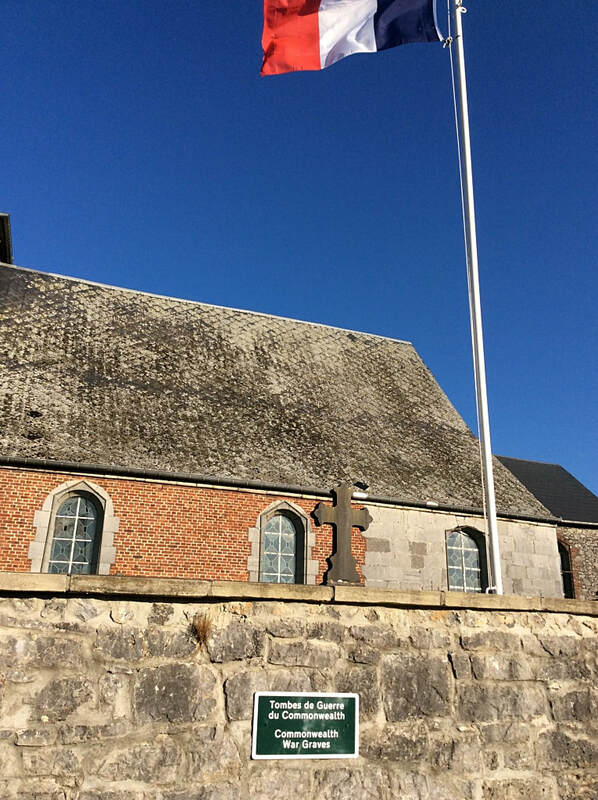 The seven World War One Commonwealth War Graves are divided between two plots, one of 5 and one of 2, and are situated to the left-hand side of the church. 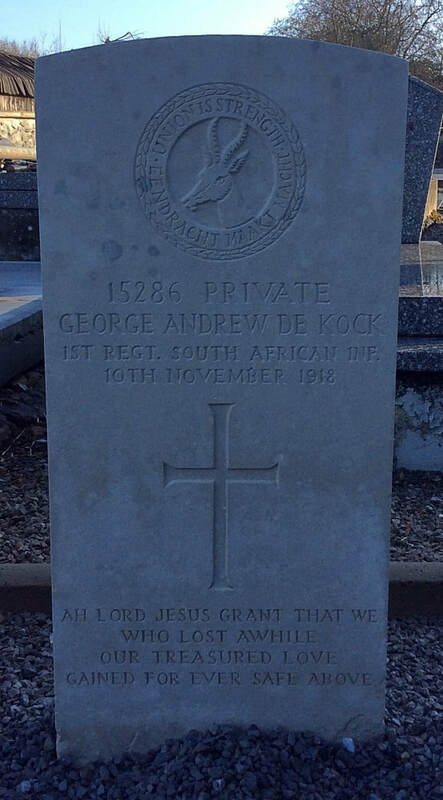 15286 Private George Andrew De Kock, 1st Regiment, South African Infantry, died 10th November 1918, aged 40. Son of John J. De Kock and C. De Kock, of Cape Town; husband of Johanna M. De Kock, of 32, Gympie St., Woodstock, Cape Province, South Africa. 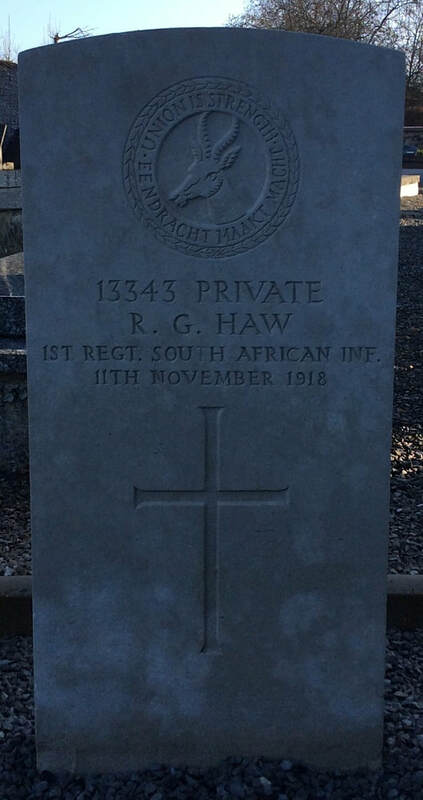 13343 Private Ronald George Haw, 1st Regiment, South African Infantry, died 11th November 1918, aged 19. 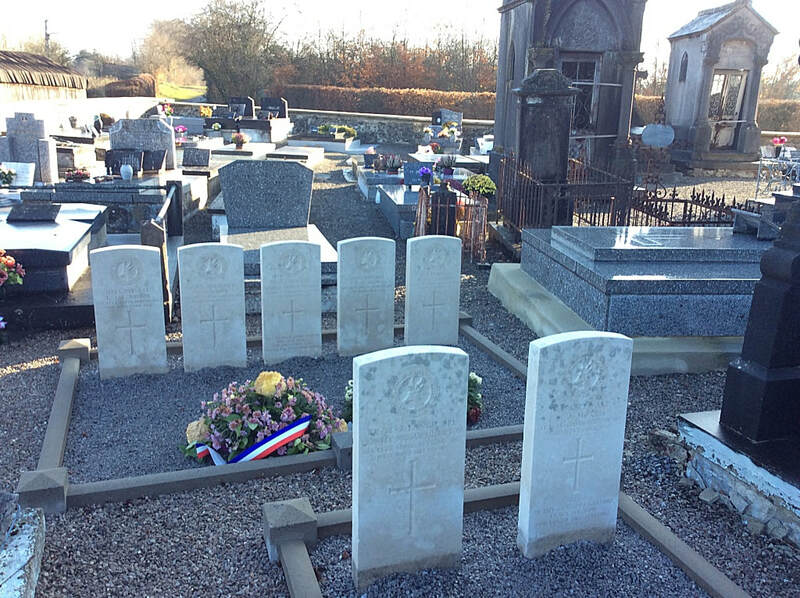 Son of Charles Richard and Annie Helena Haw (nee Philcox). 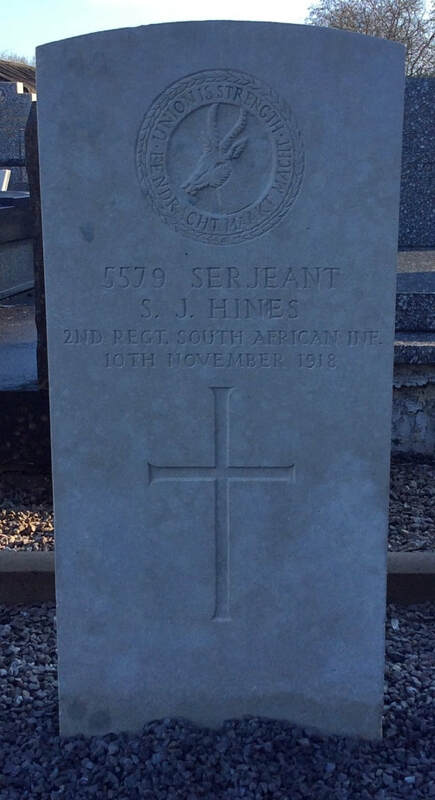 5579 Sergeant S. J. Hines, 2nd Regiment, South African Infantry, died 10th November 1918. 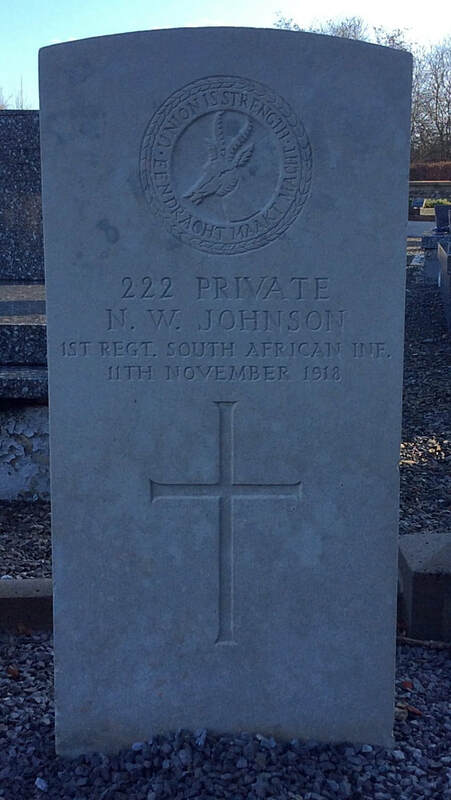 222 Private N. W. Johnson, 1st Regiment, South African Infantry, died 11th November 1918. 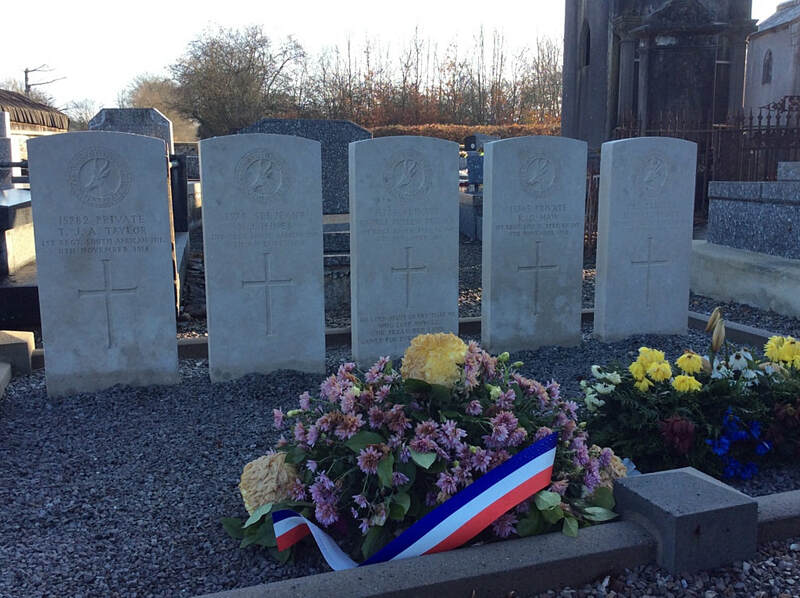 17398 Private Cecil Joseph Morris, 1st Regiment, South African Infantry, died 10th November 1918, aged 22. 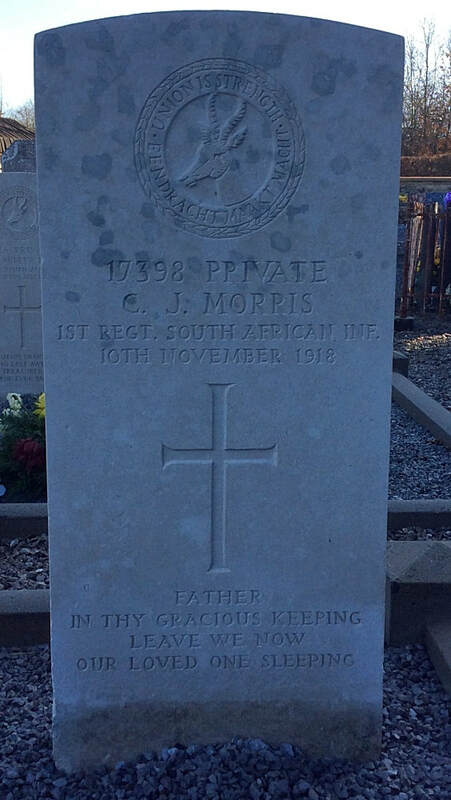 Son of John and Helena Morris, of Bellville; husband of Mrs. B. I. Morris, of 9, Railway Cottage, Bellville, Cape Province. 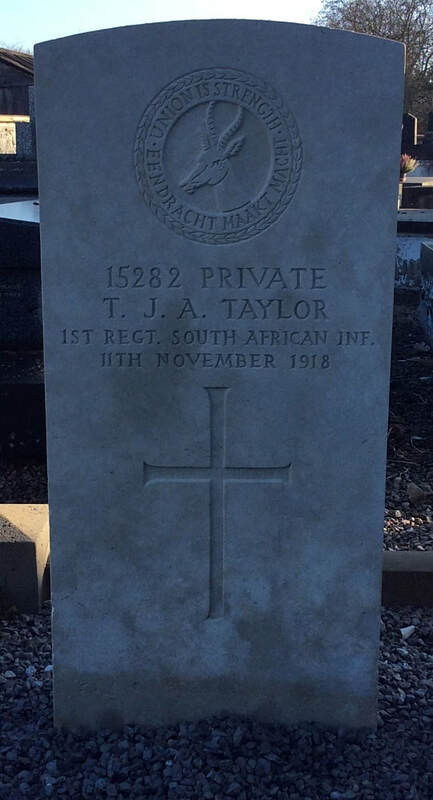 15282 Private T. J. Taylor, 1st Regiment, South African Infantry, died 11th November 1918. 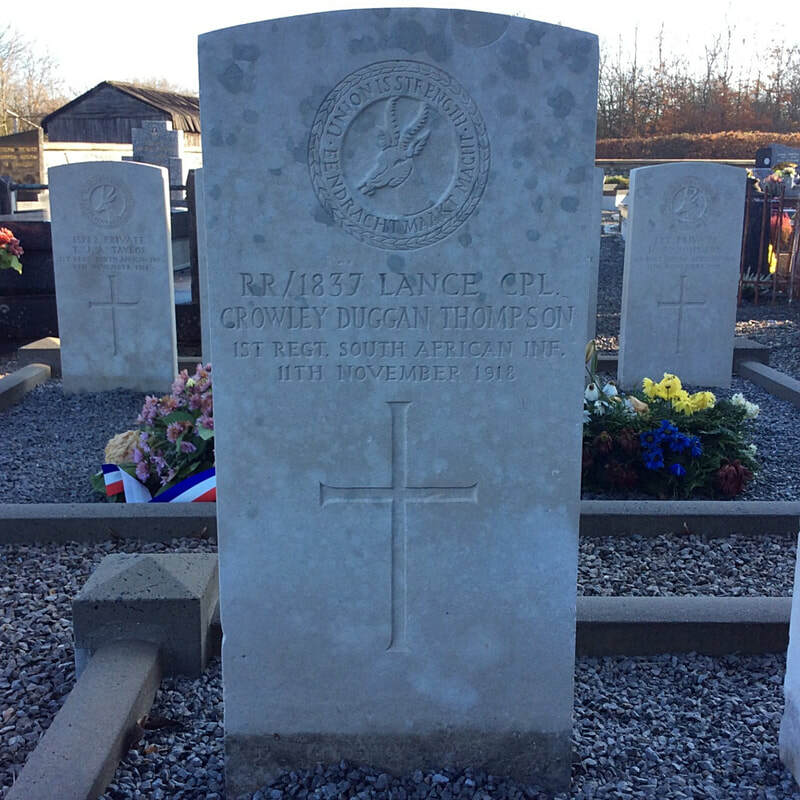 RR/1837 Lance Corporal Crowley Duggan Thompson, 1st Regiment, South African Infantry, died 11th November 1918, aged 29. 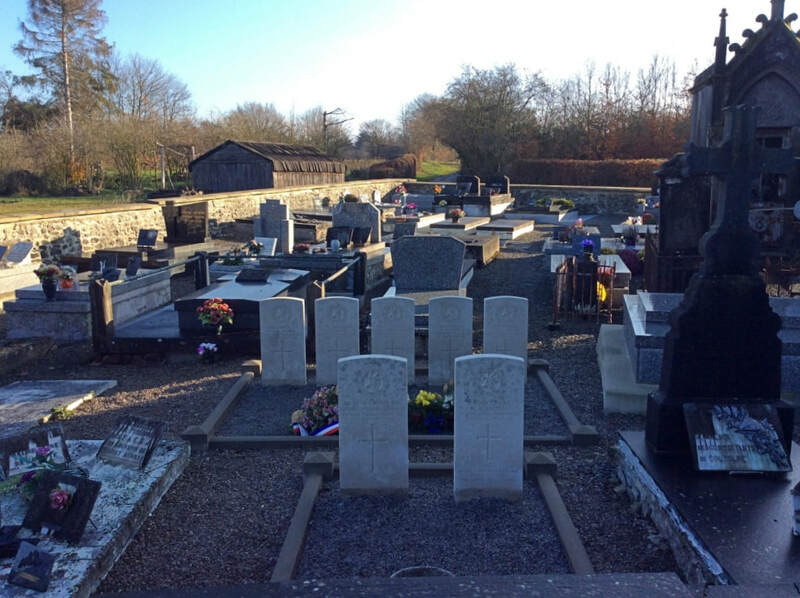 Son of the late Mr. R. B. Thompson, of Orford, Suffolk, England.